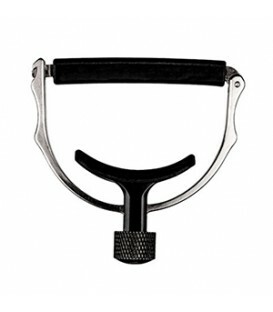 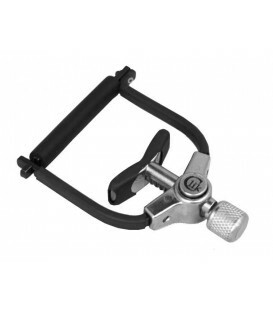 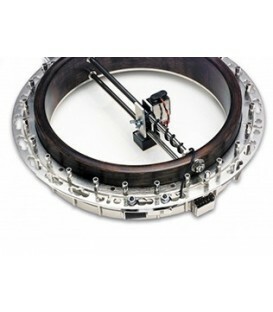 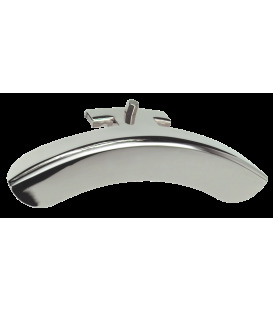 A sleek design, controlled tension capo for banjo. 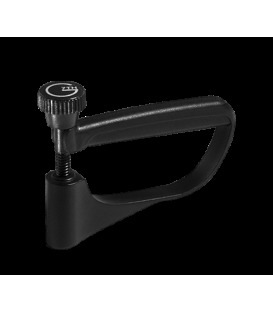 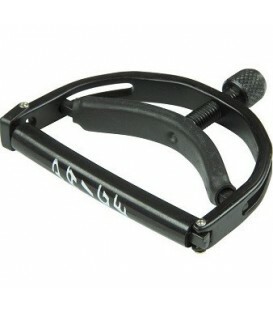 Black anodized steel capo with locking crossbar and adjustable thumb screw. 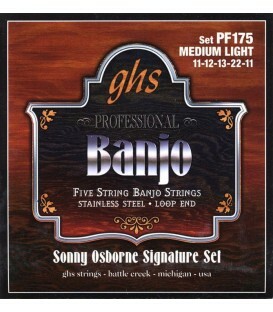 Semi-hard plastic sleeve, will not mute strings. 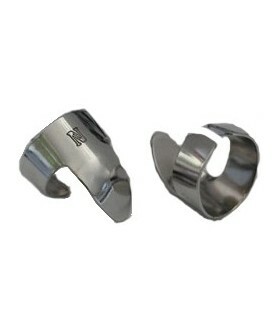 Long wear, no buzz. 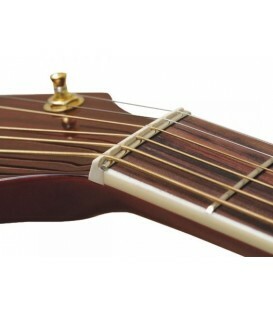 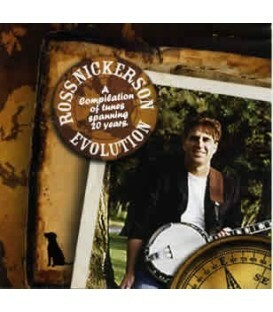 Fits from the 1st to 4th fret on a 5-string banjo. 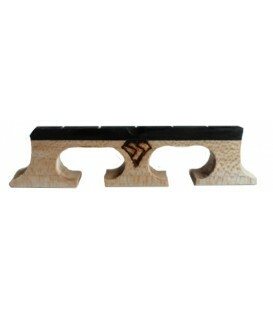 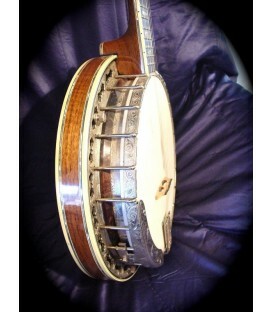 Slightly curved for capoing banjos with a radiused fingerboard. 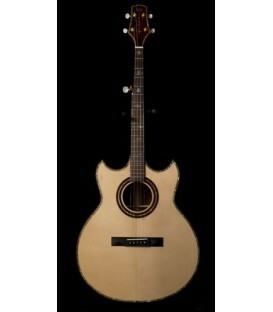 Fits from the 1st to 5th fret. 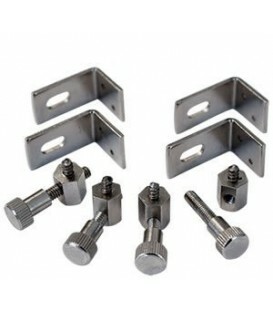 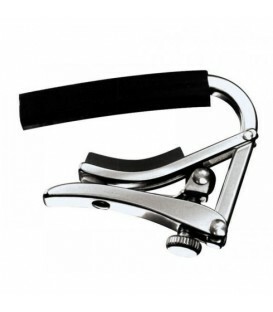 Paige capos are my favorite capos. 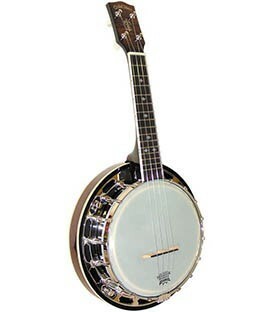 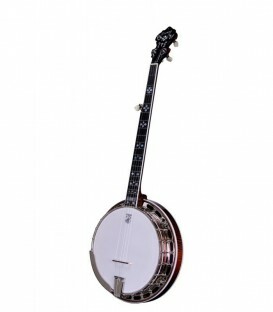 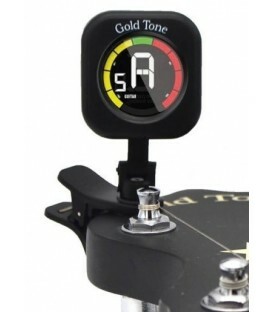 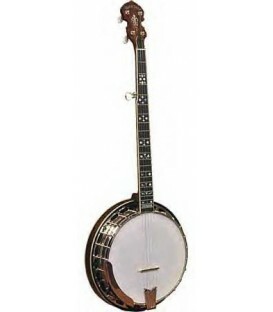 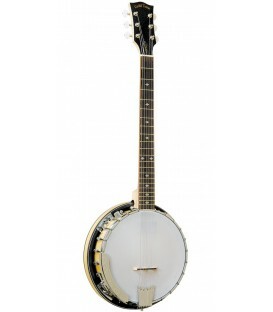 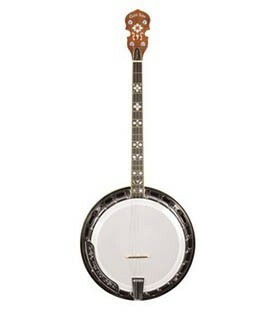 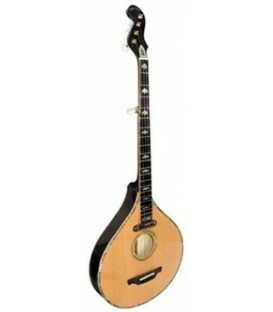 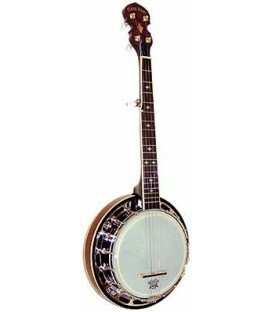 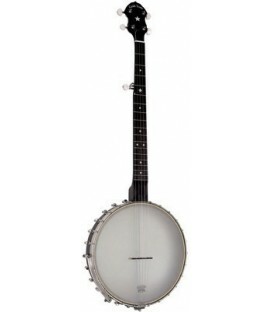 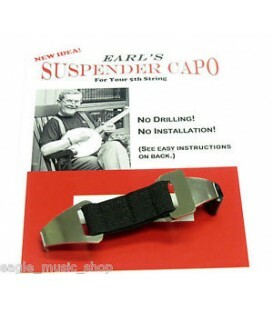 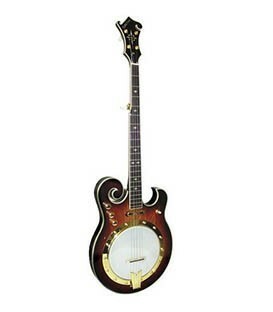 I just got a wide Paige capo to go one my Gold Tone OB 150 banjo. 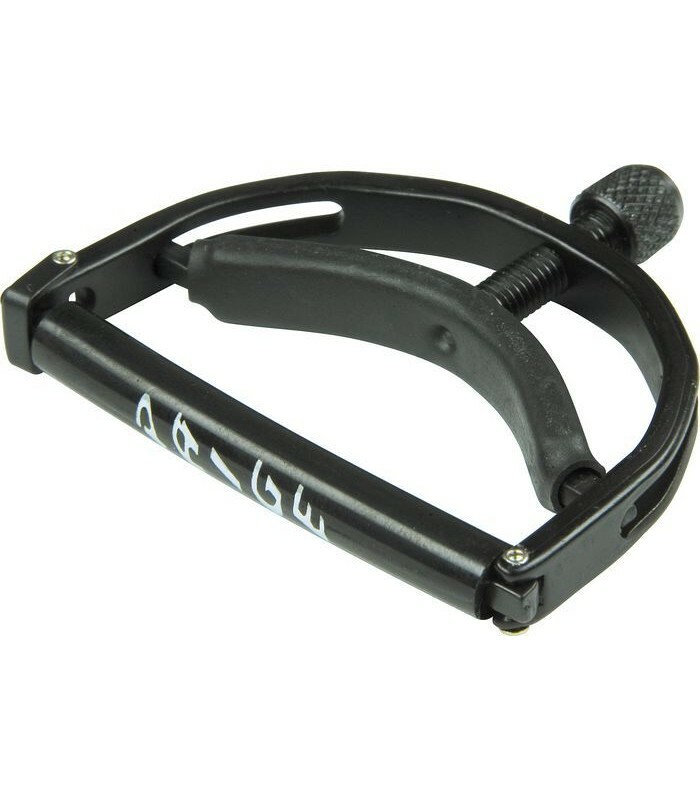 I was using a different Paige capo that only went as far as the 4th fret and to go higher up the neck, I had another capo to help do that. 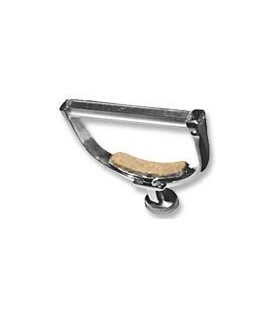 This Paige wide capo that goes past the 5th fret on my banjo. 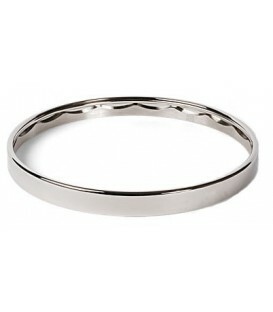 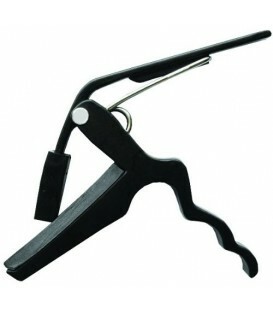 When not in use, I just put it by the nut and stow it there. 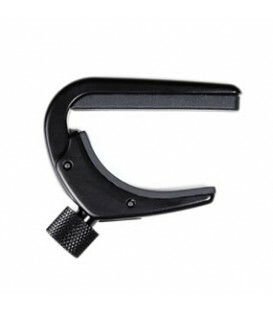 No more using 2 capos to do what this one capo does. 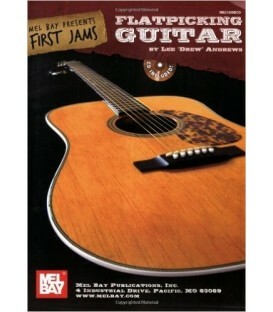 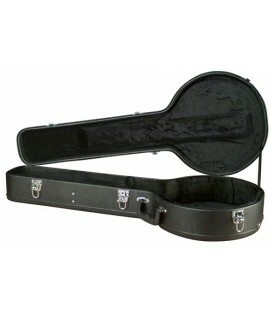 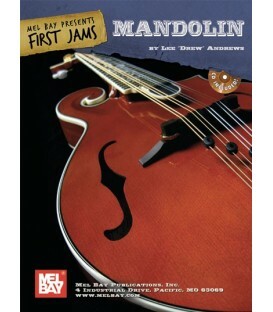 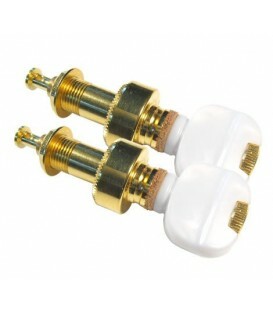 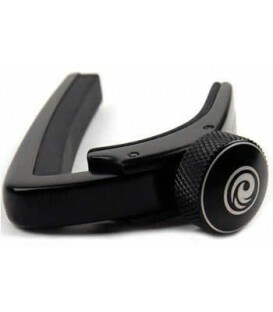 BIG time convenience and no chance of losing a capo at night at a bluegrass jam. 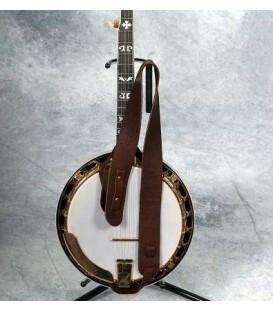 This capo stays with the banjo the whole time. 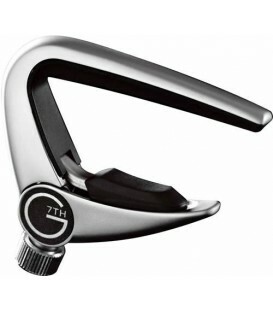 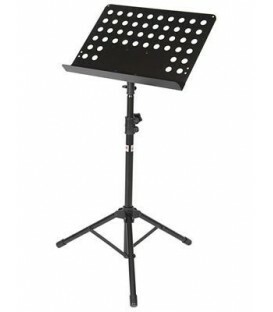 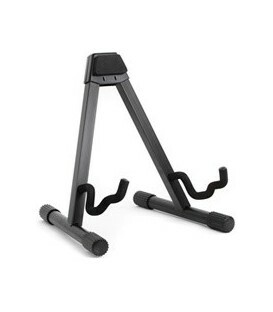 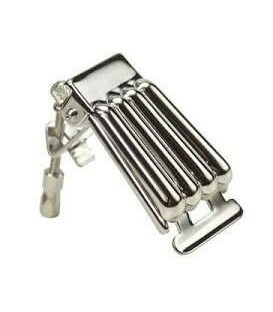 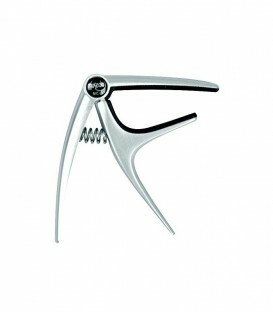 Want the best price on this capo? 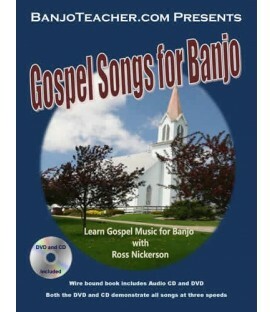 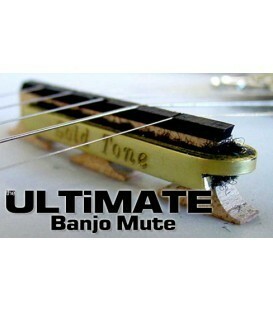 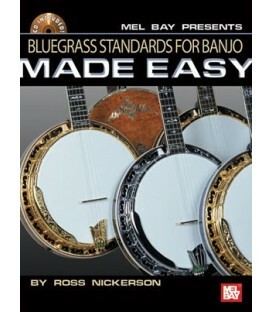 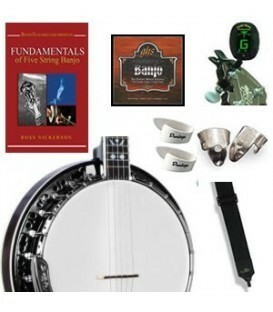 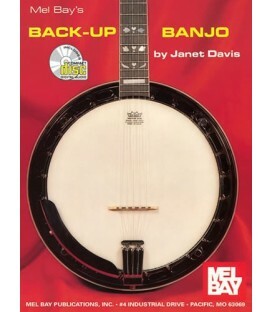 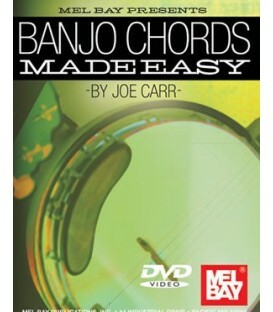 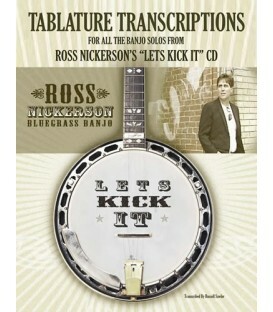 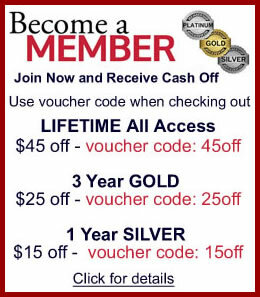 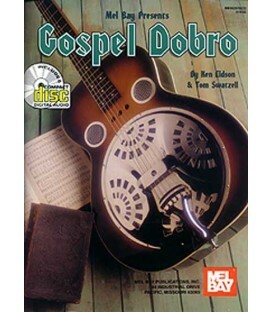 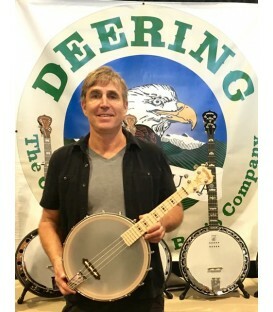 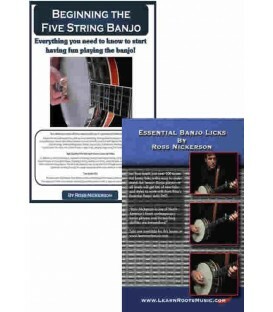 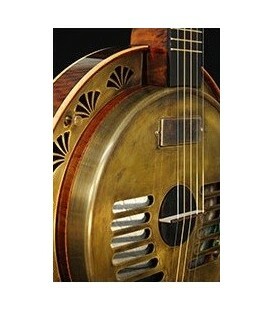 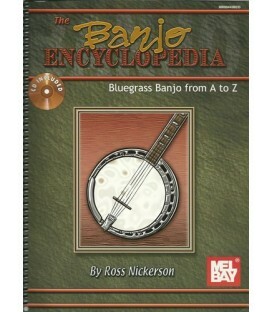 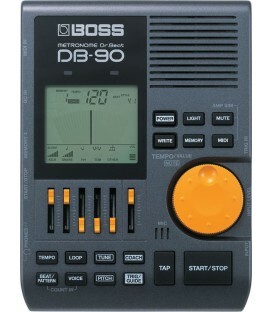 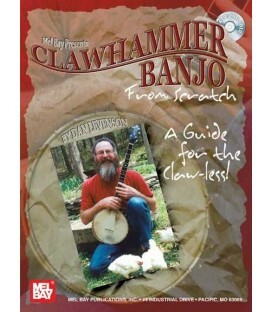 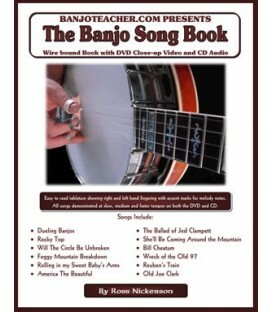 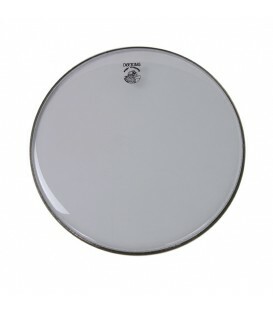 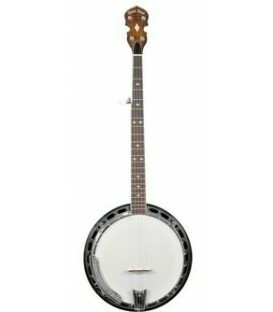 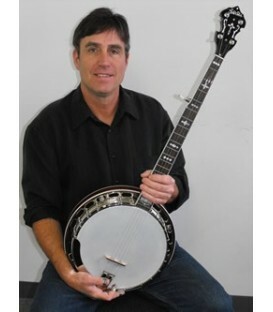 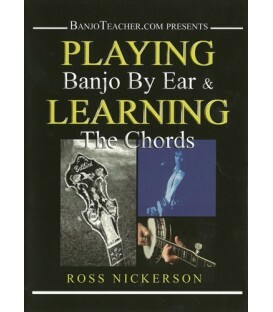 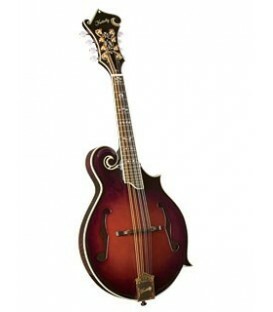 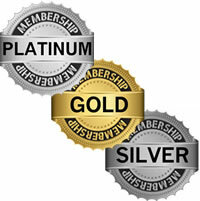 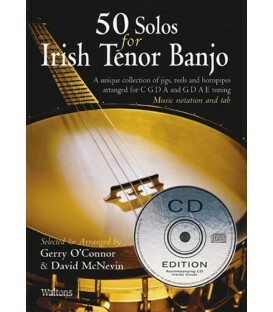 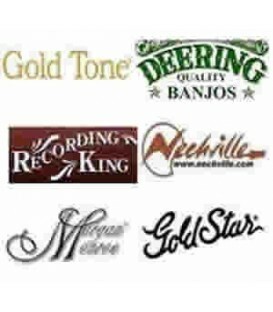 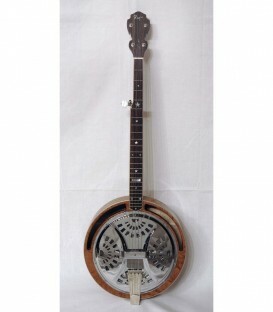 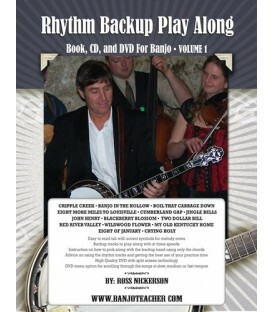 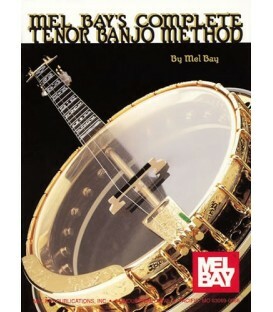 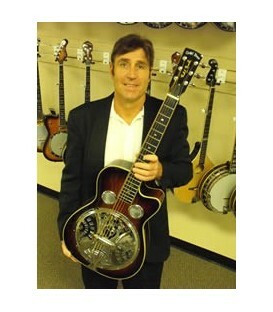 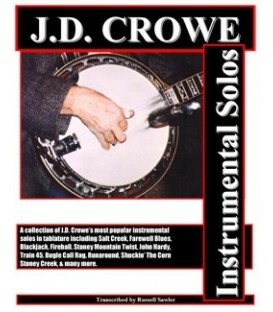 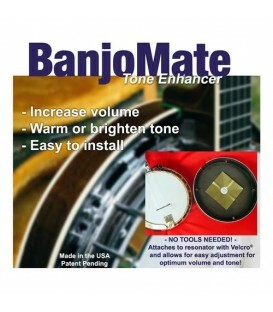 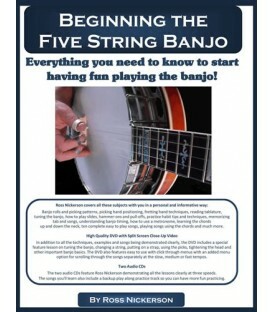 BanjoTeacher.com is THE BEST PLACE to get one.